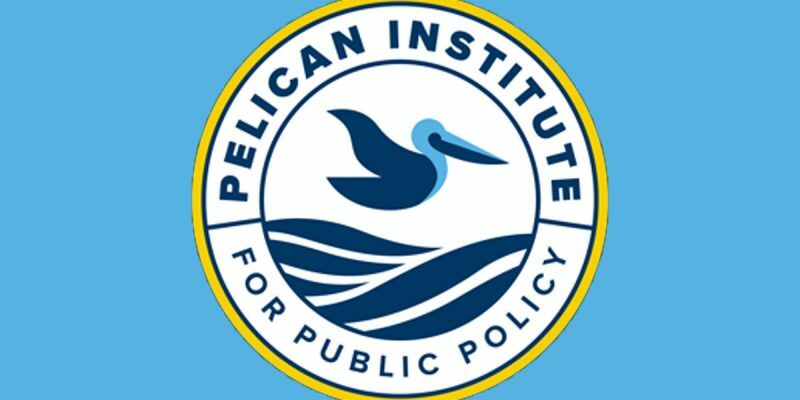 Today, the Pelican Institute for Public Policy (Pelican Institute) announces a significant expansion of its team, with the hiring of Renee Amar as vice president for government affairs, James Baehr as general counsel and Eric Peterson as director of policy. All three are experts in the fields of government affairs and public policy and have ties to and passion for Louisiana’s culture and people. As a former policy director at the Louisiana Association of Business & Industry (LABI), Amar will carry her rich experience with Louisiana policy into her new role of crafting the Pelican Institute’s legislative strategy and directing its government affairs activities. Amar’s familiarity with Louisiana’s political landscape and the state’s legislative process will serve her well in her collaboration with lawmakers to develop and advance free-market legislation and public education initiatives. For the last four years, Baehr has served as an Assistant U.S. Attorney in the Eastern District of Louisiana. Currently holding rank as a major in the Marine Corps Reserves, Baehr serves as president of the New Orleans Lawyers Chapter of the Federalist Society. He also previously clerked for Judge Edith Brown Clement of the United States Fifth Circuit Court of Appeals, as well as serving on active duty as a defense counsel judge advocate in the United States Marine Corps. Throughout his career, Baehr has stood up for the ideals of America’s founding fathers, and he will bring this passion for defending freedom and liberty to his new role as general counsel for the Pelican Institute. Daniel Erspamer, the Pelican Institute’s chief executive officer, said he is thrilled to announce the doubling of the organization’s team, adding that now is a critical time in Louisiana’s history, which requires building the most dynamic, talented team possible to reject the broken status quo, make the case for freedom and free enterprise in Louisiana and forge a new direction for the state’s future. For more information on the Pelican Institute’s team, mission and initiatives, visit PelicanInstitute.org. We’ve known two of these new additions for a long time. Renee Amar for a long time was the National Federation of Independent Business’ lobbyist at the Louisiana Capitol, and in that role she was THE crusader for small business people. The NFIB’s members absolutely loved her because she wouldn’t dream of backing down from a fight for economic freedom, and she continued that more or less immaculate record when LABI snapped her up to fill a similar role. The Pelican Institute grabbing Renee is an eye-popping coup. She turns that organization from a nice little public policy think tank with some great ideas to shop around to a few legislators who really would like to build some policy chops within the conservative movement into…something else. As in, when Renee calls and says “this is a piece of policy you should be for, because it’s a well-thought-out application of conservative policy which will help make Louisiana not 50th in all those public policy metrics we’re currently 50th in,” legislators who put an “R” behind their names because they thought it would get them elected are now on notice that the bill is due and it’s time to start walking the talk. Which is not to say Renee didn’t have the ability to do that when she was at LABI. It is to say, though, that while she was limited to issues affecting the business community now she can be more of a full-spectrum powerhouse in holding state legislators accountable for actually doing conservative things rather than just making the right noises when it’s time to run for office. We know James very well, also. He was the die-hard conservative in the U.S. Attorney’s office in New Orleans the last few years and when the job running that office was open following the election of Donald Trump there were more than a few folks who really wanted Baehr to get it. He was judged a bit young to become the U.S. Attorney for the Eastern District of Louisiana, but he’s known as a rising star not just in conservative circles but in state political and policy at large. There was even talk last year that Baehr might find his way into a legislative race by this fall – something he could conceivably do while serving as the Pelican Institute’s general counsel. If you’re not plugged into the conservative movement, what does this matter to you? Well, here’s the thing – while the Louisiana GOP is starting to become a little more proactive in developing itself into an institution which seeks to build a consensus around a small-government, culturally traditional, individual-freedom-oriented agenda that people can use to guide their electoral decisions, meaning that races are decided on more than just the God-and-guns, good ole boy stuff they’ve always been decided on around here, we’ve never really had an institution that took the lead in helping to define what a conservative is in Louisiana and raise a standard people could rally to. For the longest time the GOP’s major activity was trying to flip “conservative” Democrats over to the “R” side so as to make a legislative majority, and it was successful in doing so. But as we found, that’s a somewhat empty victory – the “R” doesn’t mean anything if it’s a place Norby Chabert and John Alario can park their wagon full of old-time political baggage in. And while LABI has been stalwart in fighting the fight for economic conservatism, there is a natural limit to what LABI can and should do. LABI exists to represent the interests of its membership, after all – and so LABI shouldn’t really be fighting on cultural issues, and functionally it’s probably a mistake for LABI to get too ideological on issues like infrastructure, where lots of its members might have some heterodox positions vis-a-vis the True North on the conservative side might be. LABI is great at what they do, but it’s not fair to ask them to be the be-all and end-all of conservative policy. So we don’t have a true clearinghouse, or somebody who takes on the role of defining what conservative reform is supposed to look like in Louisiana. You don’t really want politicians doing that – we gave Bobby Jindal that mantle, and you saw how well that worked out – but rather somebody who’s doing policy for its own sake with the knowledge that some of it can’t pass, yet. And the Pelican Institute is really well positioned to be that north star for Louisiana. Erspamer, when he took over as the Pelican Institute’s CEO a few years ago after Kevin Kane died (and Kevin, who was a friend, deserves a lot of credit for blazing a trail to create the Pelican Institute in the first place), went around the state – including speaking at a few Hayride events the last two years – talking about a vision for building an ecosystem of conservative institutions in Louisiana. His background with the State Policy Network, which is the support organization for all of these conservative think tanks around the country, taught him that if you build those ecosystems you end up with well-educated candidates, a backbone of policy research, a messaging operation and the ability to drive policy into politics. That’s what happened in Wisconsin, which went from a bureaucratic socialist heaven to a conservative bastion in the Midwest during the eight years Scott Walker was governor, and even though Walker lost re-election for a third term Wisconsin will never be the same for what conservatives were able to accomplish there. With its inability to escape the putrid legacy of corruption and nanny-state stupidity Huey Long left behind Louisiana needs that kind of transformation in the worst way. Luckily our people already know most of what the conservative movement offers on policy; it’s just necessary that somebody ties all of it up in a neat bow for ordinary folks to process what needs to be done. And we could be seeing that come to fruition. Next door in Texas there’s an organization which is what the Pelican Institute may be destined to become. If you’re ever in downtown Austin you might drop in at the Texas Public Policy Foundation’s headquarters on Congress Street. It’s an impressive eight-story building which had been a law office, but when TPPF bought it they gutted the place and rebuilt it into a veritable shrine to free-market conservatism. Virtually ever piece of furniture and doorway is named for a donor, and virtually every issue affecting the Lone Star State is being pursued by somebody at TPPF who knows awfully well what they’re talking about. Conservatives in Texas will tell you those guys are among the best friends they’ll ever have – minor differences inside the movement aside, of course. If Erspamer can get the Pelican Institute even a short way down the road to becoming TPPF, it’s going to be a game-changer at the State Capitol. The institutional battle in Louisiana has almost always been lopsided toward the big-government side. Now, that may be changing. And it’s something most people might not recognize other than to notice the end result in coming years.